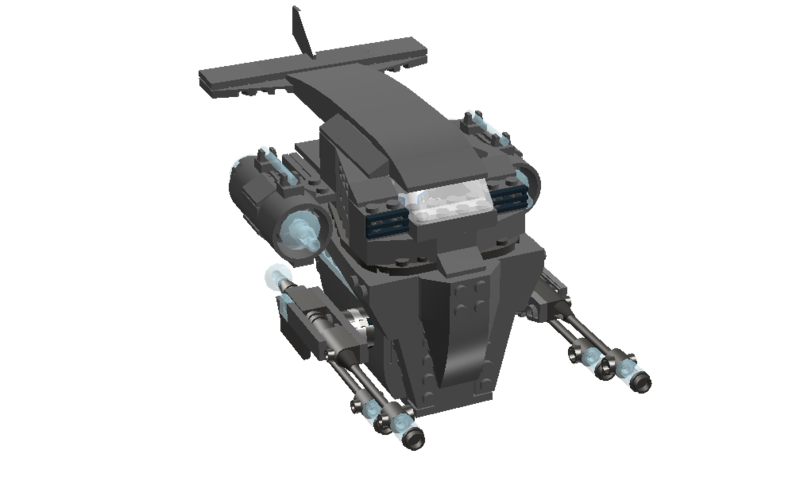 In an attempt to replace the original Spitfire Class Gunship, HPC Industries built the Galidor Dropship. The Galidor Dropship is a heavily armored and heavily shielded vessel. What it lacks in the aesthetics department, it almost makes up with a pair of heavy phaser cannons and another pair of medium phaser cannons, however it is armed with nothing else. 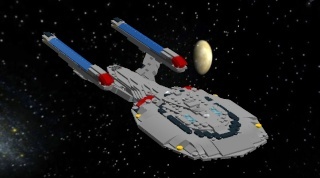 Its engines are taken from the Star Cruiser II. Under the cockpit is a large storage area for whatever it is carrying, from soldiers to replicators and pizza. Above the storage area and behind the cockpit is a large empty space where more cargo can be placed - cargo that is exposed to space. That thing looks like a tank... with wings and rocket engines! Awesome, in an A-10 Warthog kind of way... not so much pretty as scares the wits out of the enemy because it's so powerful. Good work, not my favorite of your fig-scale craft, but nevertheless seriously cool! i like it's rather unorthodox style, with hit's higher than it is long and not very wide at all style. Very cool.